November 28th 2017 marks the 50 year anniversary since Ivo Linna first stood before TV cameras to sing for the Estonian public. At the time, nobody knew that they had just witnessed the beginning of a remarkably long and productive career. To understand how the prolific artist began his career, it is exciting to delve into his youth and listen to his first recordings. As such, his recordings from 1968-1975 have been gathered and remastered to form the double record “Unustatud ja unustamatu noorus” (The Forgotten and Unforgettable Youth). 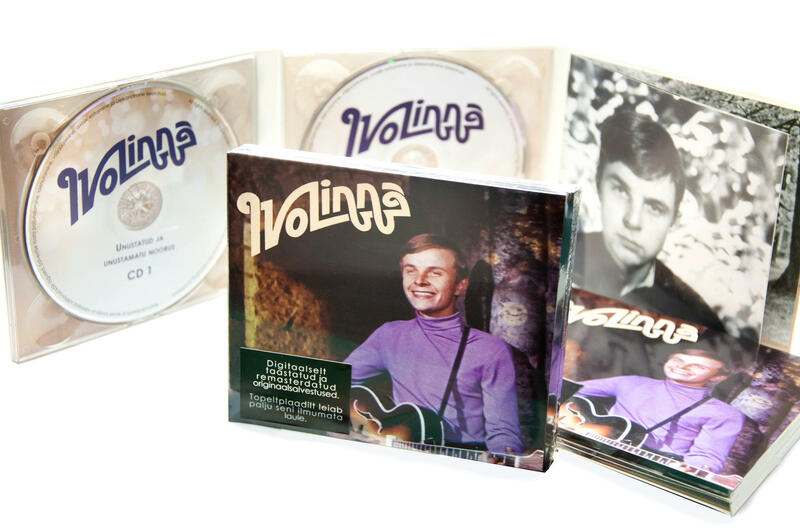 The album gives unique insight into how the at-the-time unknown Ivo Linna became a captivating and multifaceted singer in only a few short years, culminating with him joining the band Apelsin in 1975 (and becoming widely recognized).